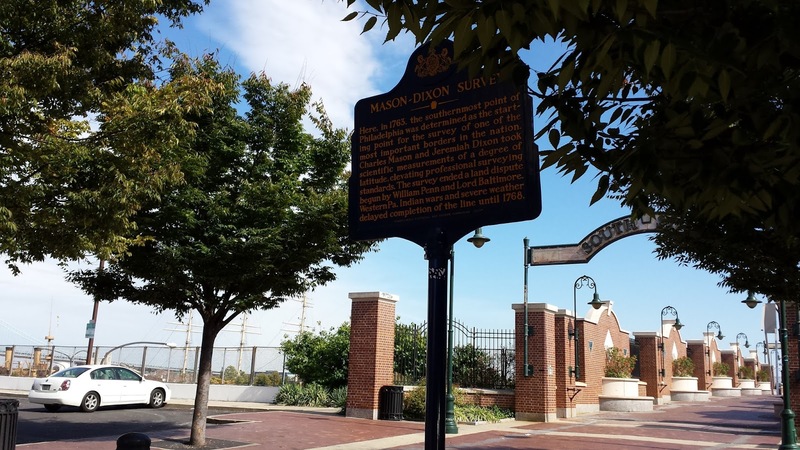 The Mason–Dixon line was surveyed between 1763 and 1767 by Charles Mason and Jeremiah Dixon in the resolution of a border dispute involving Maryland, Pennsylvania, and Delaware in Colonial America. It is still a demarcation line among four U.S. states, forming part of the borders of Pennsylvania, Maryland, Delaware and West Virginia (originally part of Virginia). 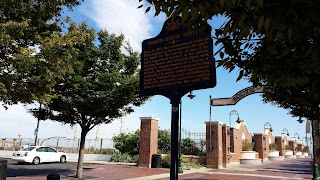 Here in 1763, the southernmost point of Philadelphia was determined as the starting point for the survey of one of the most important borders in the nation. 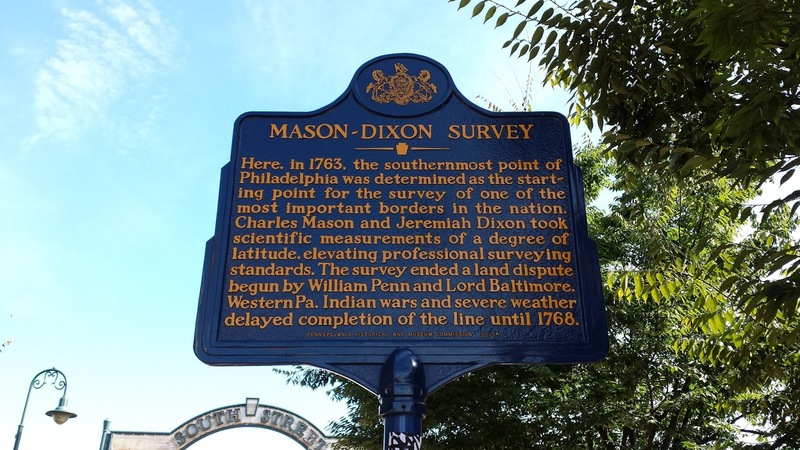 Charles Mason and Jeremiah Dixon took scientific measurements of a degree of latitude, elevating professional surveying standards. 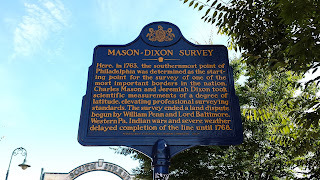 The survey ended a land dispute begun by William Penn and Lord Baltimore. Western Pa. Indian wars and severe weather delayed completion of the line until 1768.